"Sampath Speaking" - the thoughts of an Insurer from Thiruvallikkeni: Cricket Jamboree ~ India loses T20I - Ranji & T10 update !! Cricket Jamboree ~ India loses T20I - Ranji & T10 update !! Are you a great Cricket fan .. did you follow all these happening today ?? Ranji has reached a new dimension with many new teams in fray – today Madhya Pradesh were 184/2 against Punjab – and the man who opened and scored 31 is newsworthy !! Downunder, Fox Cricket promised they'd bring viewers closer to the action after securing the Australian cricket broadcast rights but this might not have been quite what they had in mind. 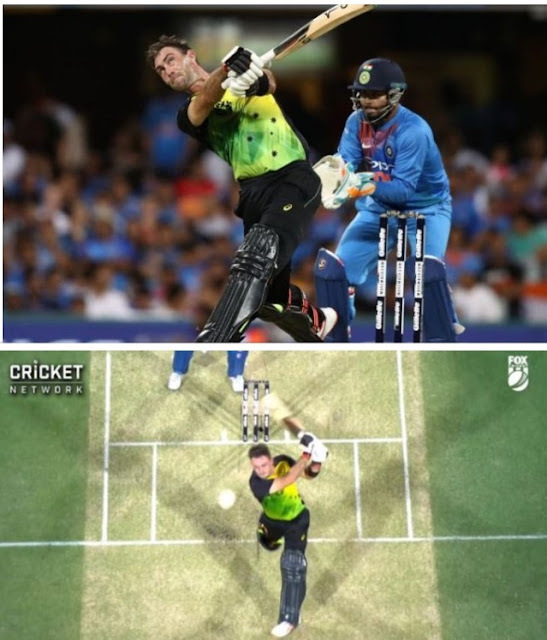 The player well known to Indians - Glenn Maxwell skied a hoick smashing Fox Cricket’s bird’s-eye camera suspended above the Gabba pitch during the first Gillette T20 International today. As per the International Cricket Council's playing conditions, it was ruled a dead ball, with India spinner Krunal Pandya conceding two runs off the following delivery. The incident occurred in the 16th over of Australia’s innings with the hosts on 3-151 and Maxwell on 44 off just 22 balls having belted four sixes to lead Australia's fightback following a shaky start. To a small extent the rain-rule and to a large extent, Indian inability ensured a loss at the start of the Series. Marcus Stoinis had 13 to be defended off the last over. IPL star Krunal Pandya who bowled just badly was at the crease – will India make it as the Q ? the first one was a slower one wide outside off – Pandya ran two. o pull through midwicket. It's off the toe and to long-on's left. 2nd Krunal shuffled, missed and no run; 11 off 4 – 3rd another slower ball, slog sweep goes high on air, Maxwell running in slides and takes a good catch. Dinesh Karthik batting so well (30 off 12) had crossed over, bringing in newer hopes but flat batted another slower one straight to Behdrendorf; next was a wide and off the 5th Bhuvnewsar Kumar sprinted 1 - KUldip hit the last ball for a boundary – match over - Australia overcame India and their own considerable self-doubts to claim victory in a rain shortened affair. Good show after that point when India required 70 from 32 balls. Chris Lynn and Aaron Finch, the captain, had given Australia a fair platform, but it was Glenn Maxwell and Stoinis who provided the heft to an innings reduced by three overs due to a rain delay of more than an hour. Kuldeep Yadav bowled artfully for India, though his spin partner Krunal Pandya was taken for 55 damaging runs. Shikhar Dhawan kept India in touch for the bulk of their pursuit, while the hosts fared far better against Rohit Sharma, KL Rahul and Virat Kohli - they managed just 24 off 28 balls between them. Left with an enormous salvage job, Dinesh Karthik and Rishabh Pant hammered out a stand of 51 from 23 balls to have every Australian at the ground biting what was left of their fingernails. 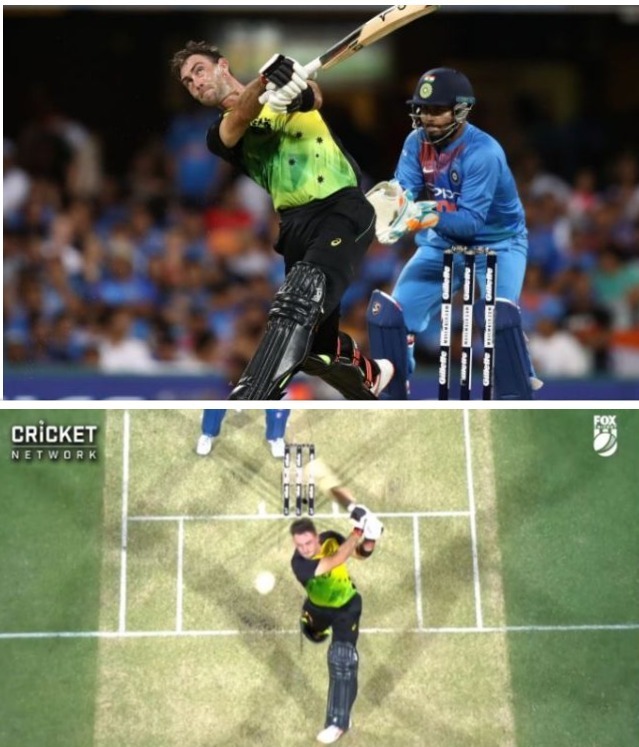 However, Stoinis was able to keep composed, much as he had done in Adelaide for Australia's previous home win of the season, to take his side to a scrappy win. Back home in Ranji trophy matches - Bengal 147 and 5 for 1 trail Kerala 291 (Saxena 143, Porel 4-69, Shami 3-100) by 139 runs Shami was told by BCCI to bowl only 15 overs but Bengal made him bowl 26 overs. Strange instructions ! Meghalaya is playing Ranji too. Its captain Jason Lamare runs an adventure-sports business in Shillong, and bungee jumping is next on the expansion agenda. And when asked if he'd let any players do it, he laughs and tells ESPNcricinfo, "Definitely. It will be a punishment - if you don't bowl well or bat well, you're going to jump!" Before the Vijay Hazare Trophy that marked Meghalaya's entry into senior-level cricket, the team bonded by trekking up Shillong Peak in the rain. The north-east has for long been looked at as football country in cricket-crazy India. It might have stayed that way had the Lodha Committee recommendations not mandated the BCCI to include all of its states in the cricket fold. Nearly all of the cricket in Meghalaya is concentrated in the capital city of Shillong, which has a grand total of one ground. There's the captain himself, who at 35 is one of the oldest members in the team. He played for Assam before the Meghalaya Cricket Association was formed, and this, he thought, had ended his cricket career prematurely. So did his cousin Mark Ingty, who is 42. Ingty made his first-class debut in January 2002, when fellow fast bowlers Lakhan Singh and Dippu Sangma were in kindergarten. Fun fact: the combined ages of Lakhan and Dippu fall short of Ingty's. Fast bowlers Chengkam Sangma and Dippu Sangma's journey to the senior team was an arduous trek, literally. Chengkam stays in Tura, home to the Garo indigenous group. It's 323 kilometres of mountainous terrain from Shillong. For Dippu, Tura is the closest "big town" - he lives a further 100-plus kilometres away, in Baghmara. Getting back to the 1st para - Rewa in Madhya Pradesh is a far different world to the opulence of South Mumbai. The cement unit of the Aditya Birla Group - a billion-dollar enterprise - is headquartered in the city. Therefore, when Aryaman Birla, the son of the billionaire industrialist Kumar Mangalam Birla, moved there, it wouldn't have been outlandish to assume he was there to learn the ropes of the business. However, the real reason for his move was his first love - cricket. It was he who scored 31 against Punjab. This was a significant because MP are looking to fill the void left by the retirement of their long-time talisman Devendra Bundela, the most-capped player in Ranji Trophy history. Before concluding T10 league is happening at Sharjah, live on ESPN. Today Sindhis made 94/6 before walloped by Rajputs who reached the target in 4 overs (36 balls to go & 10 wickets in hand) Brendon McCullum scored 21 off 8 but was far outsmarted by Afghan wicket-keeper dapper Mohammad Shahzad who made 74* off mere 16 with 8 sixers and 6 fours ! !